The tool of the week, although I’m not sure which week, is my homemade fork undoing tool. This is used when dismantling the forks on my motorbike to replace the fork seals. It was made up with an old banjo bolt with a smaller bolt welded into the hole down the centre. 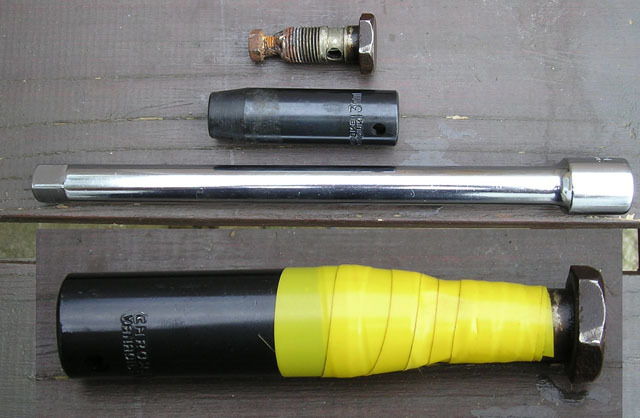 A deep 13mm socket was taped onto it and a long extension bar is used to turn it when its inside a fork leg. Picture shows the completed tool and its component parts.